It is 1910 and one of the snowiest nights in memory in England when Ursula Todd is born. Unfortunately, little Ursula is not long for this world, dying almost before her mother even realizes she has been born. Luckily for Ursula, she is born again, the same day to the same family, and this time with another result. So Ursula is born time and time again, as she succumbs to the perils of early 20th-cenutry life but is repeatedly granted another chance, as if her life is building towards some grand purpose. So, basically Life After Life is brilliant. It isn’t immediately apparent, especially as the child Ursula dies repeatedly. The first hundred pages or so can be difficult for parents, as it almost seems a catalog of everything bad that can happen to a kid. It is when the Spanish Flu hits Ursula’s household that Atkinson’s dark comic genius shines through. It is also at this time that the reader realizes that Ursula is semi-aware of what is happening to her. From that point forward, Ursula dies with a little less frequency and the intricacies of cause and effect are writ large on her life. To call Life After Life an absorbing book would be to undersell it. It is an astonishingly good novel, one I could not stop talking about during and after reading it. It is also an innovative look at the way our choices – as well as events beyond our control – shape our lives, and how the smallest change can make a huge difference. 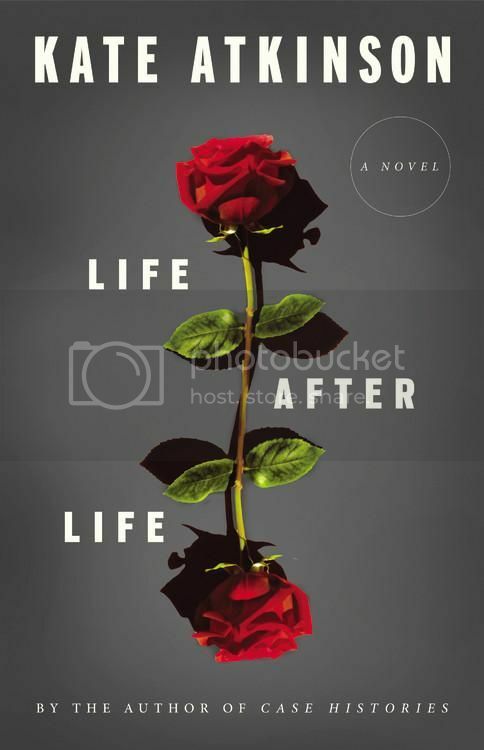 Life After Life is the book that everyone is going to be talking about for the rest of the year, and it absolutely deserves that honor. Very highly recommended. The subject matter makes me a little nervous I have a hard time with stories in which kids die. This one might be a little much for me emotionally. i could see that too. sounds amazing, but i might have to sample chapter it first and see if i can handle it. as always, thanks for the review Jen. Ouch. This sounds dark, but powerful. I’ll absolutely be reading it! I need to read this one, despite the dying child. Evan won’t get Spanish Flu, right? He totally won’t. And most of her deaths are either at birth or of Spanish flu, so you’re good. I like books that make me feel something emotionally-in fact quite a few usually end up doing just that. I’ll have to check this one out! Once you get into it you will fly through! I love when a book is described as “brilliant” – thanks for the review! I really liked this, too. I am so glad I took a chance on it because I had never read Atkinson before and now I am a big fan! Buzz Books 2013 has an excerpt of this one so I will check it out first. And I’m sure my library will get it soon. When a book is described as brilliant it stirs up my curiosity despite the strange premise.